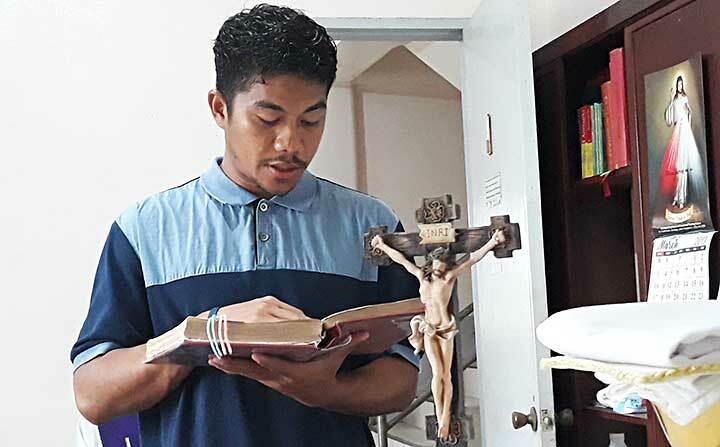 Dumangas, the Philippines, 11 April 2019 -- My name is Jefrianus Umbu Dapa Loka, SDB, born on 31 January,1995, in Sumba Island (Indonesia, near the SDB formation house). I got to learn about Jesus through my family, who taught me the catechism ever since I was I child. My mother taught me how to pray and brought me to church every Sunday to attend Mass. Aside from my family, my school and the oratory with the Salesians, I also tried to hone my life to be a better Christian. That is the reason why I also got to know about the life and work of the Salesians, which inspired me to follow in their footsteps by offering myself to become a Salesian Brother. After learning about the life of Don Bosco in the oratory, I have always aspired to become a Salesian. After finishing my secondary years in school, I entered the Tigaraksa community to be an aspirant last 2014, then transferred as a prenovice in 2015 and to the novitiate in 2016. Thanks be to God I made my first profession in Sumba community on 24 July, 2016. My formation has been a memorable experience, learning about the Salesian spirit. 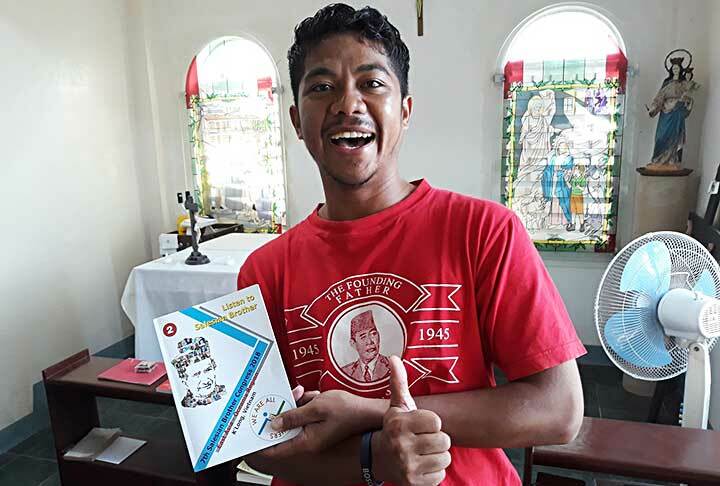 After my first profession, I continued my formation in the postnovitiate in Jakarta - Wisma Don Bosco - for the last two years. Ont 5 September 2018, I arrived in the Dumangas community (FIS - Philippines South) for my practical training. At first, it was really hard because I was afraid to connect and communicate with other people due to my poor English. Moreover, I do not have many skills to share with the young, but I believe that God always guides and helps me in whatever I do. I am grateful to my confreres and the people here in Dumangas because they are very kind and they help me in any way they can. The culture of the Philippines and Indonesia are quite similar and the people are always so hospitable and willing to give a helping hand, that is the reason I have not experienced any culture shock. Since I have been staying with the young people in the Boys Home in Dumangas, I have learned that the majority of them were just forced to come here because of poverty. 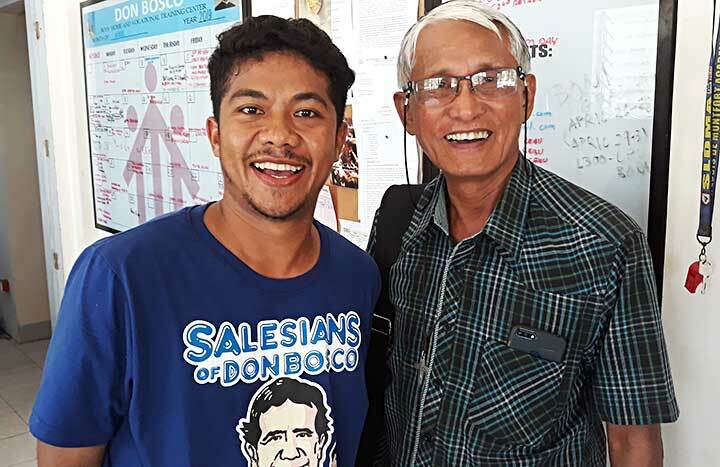 Many of them shared that they did not want to be away from their family, but because of financial incapacity they chose to live and serve in Don Bosco in exchange for education. Through this, I have realised their determination to finish their school despite some sacrifices. That also applies to me to be serious in my Salesian vocation, I have to stay strong and be determined to be able to achieve what I want despite setbacks. I am happy to share my Salesian life with my confreres and to dedicate my life to the young people. At the same time I am also grateful to become a good example for the young people here. 5057(II)_Christ is Alive and He wants you to be Alive!